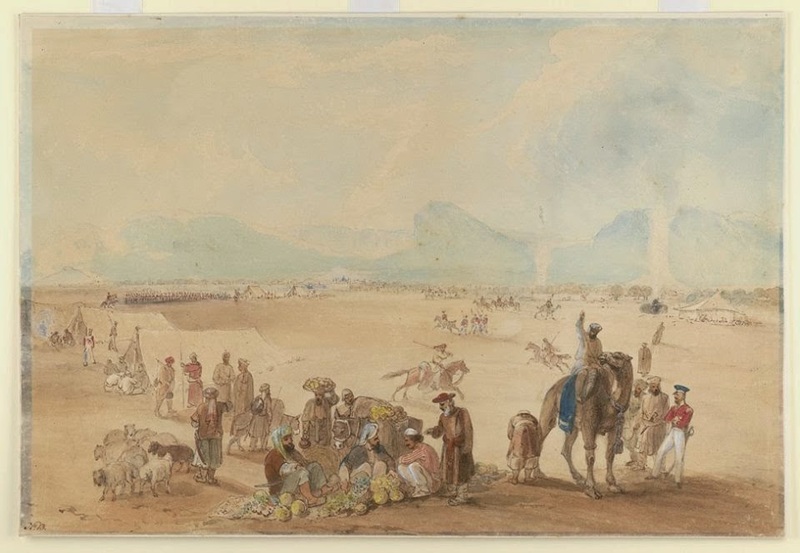 Water-colour sketch of Kandahar (Afghanistan) by James Atkinson (1780-1852) between 1839 and 1840. Inscribed on the mount of this picture is: 'The City of Candahar.' 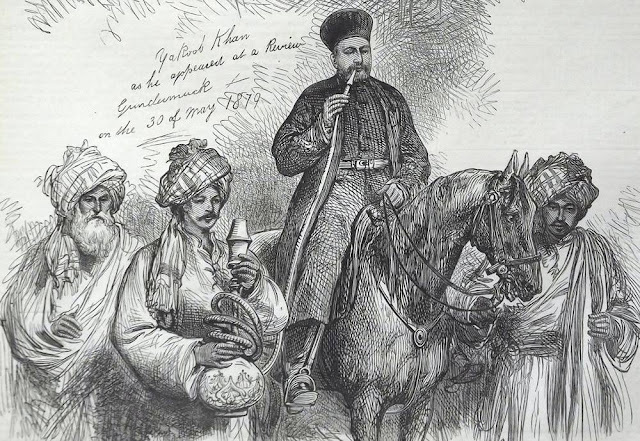 Atkinson served with the Bengal Medical Service and from 1838 to 1841 was in Kabul with the Army of the Indus as Superintending Surgeon. This is one of 16 water-colours depicting the march of the Army of the Indus from Sind to Kabul in Afghanistan via Quetta and Kandahar. These drawings are part of the original set of 24 water-colours from which lithographs were made by L. and C. Haghe for J. Atkinson, 'Sketches in Afghaunistan' (London, 1842). Kandahar was strategically important during the Afghan-British Wars of the 19th century. In 1839 General Elphinstone led an East India Company army into Afghanistan as the British were anxious to prevent an alliance between Dost Mohamed and the Russian Tsar. Elphinstone took Kandahar on route to Kabul, where the British Army suffered a crushing defeat. This view was taken from the camp of the Fourth Brigade, about a mile and a half south of Kandahar.